The JBDC is only a small club so we really appreciate all the support we are given by those coming over to enter the tests, judge, steward and generally make the event a success. Thanks to Helen for organizing all the paperwork and to Anita and Trina for arranging the judges lunches and hot drinks. Due to potential bad weather due on Sunday, all tests were brought forward to Saturday so we started a little late in the day. With only five entries, unfortunately two dogs withdrew which left us with three. We had two lovely passes and one dog that ran out of time � who we are sure will sail through next time. Thanks to everyone at Jersey Big Dog Club for hosting this event and everyone who helped with stewarding etc.. The B test was carried ut on the Saturday, due to bad weather forecast for the Sunday. We tested 13 dogs, in changeable weather and lake conditions, and had 6 nice passes and some lovely team work. Some of the teams that failed only need a little more work on one or two of the exercises. 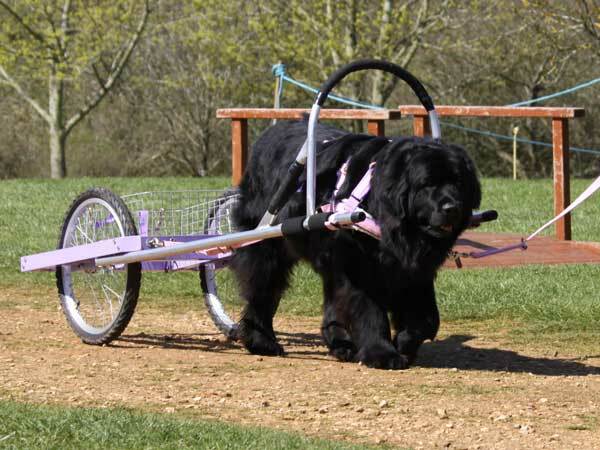 We would like to thank the Jersey Big Dog Club for hosting this now popular, annual event. Our thanks also to SNC for asking us to judge this section. A great entry at this level. 10 teams entered, only three made the grade today for varying reasons. Overall the standard is really high and this was a lovely entry. Better luck next time everyone. Thank you to Chris Roberts for judging alongside me. The water test was held at the sand quarry. Weather conditions were quite difficult with swirling wind and movement of water, making it difficult to set the boat as one would like. Fellow judge, Kay Burridge and I enjoyed the opportunity to judge this level with a total of seven entries and two passes. D1 seemed to be the stumbling block, once that was overcome, the dogs settled in to work well. Thank you to the stewards and to Anita and Trina for the hot drinks. A short report for this section. 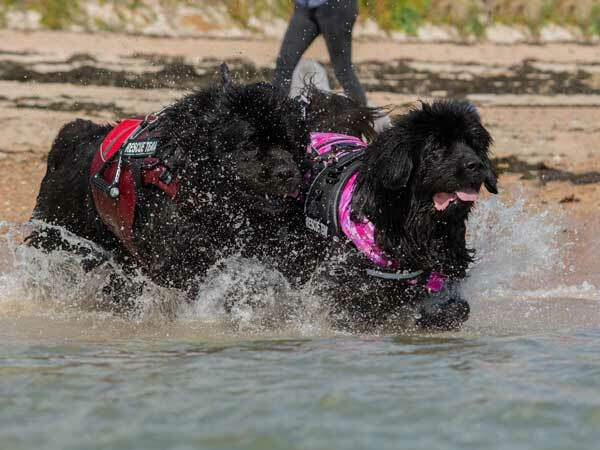 Unfortunately on the day none of the entrants got past the first element - for this level very unusual but these are Newfoundlands and you never know what will happen on the day. Keep at it guys. Thanks Marcus Sutherington for judging with me. We had four entries, unfortunately no passes today. I would like to thank all entrants for withdrawing after they had failed an element to enable the other sections to continue. Such a shame we didn't have any passes. Thanks must go to the Jersey Big Dog Club for hosting the event. Thank you for the invite to judge and looking forward to seeing you again.